Black and white photo of Defence Industries Ltd. workers from 1942. 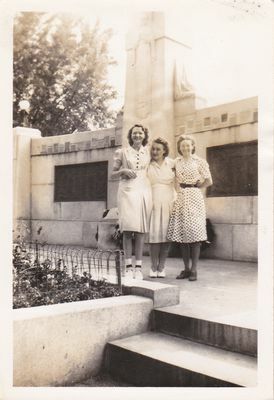 L to R is Margaret Dickson, Irene LeBlanc and Marie (Lannigan) Lawrence. Margaret Dickson, Irene LeBlanc and Marie (Lannigan) Lawrence.